Kuwait National Petroleum Co is seeking $10 billion (Dh36.73 billion) in financing from local and international banks to upgrade two refineries to produce cleaner burning fuel. Local banks are due to agree to lend $3 billion next month under favourable terms to Kuwait, according to Ahmad Al Jemaz, a deputy chief executive officer at the state oil refiner. The rest of the $10 billion needed will be sought from international lenders, including from South Korean banks, he said. “We have seen a good response to our request for loans to finance the project,” Al Jemaz told reporters in Dubai on Monday. The loans will be for Kuwait’s Clean Fuels Project to upgrade the Mina Abdullah and Mina Al Ahmadi refineries. The project, set to be completed by 2019, will produce diesel and jet fuel for domestic use and export. The Mina Abdullah refinery’s capacity will be increased to 454,000 barrels a day from 270,000 barrels a day and the Mina Al Ahmadi plant’s capacity will be decreased to 350,000 barrels a day from 466,000 as one of its main crude processing units is retired, Al Jemaz said. Kuwait is also planning a $30 billion refinery to produce 615,000 barrels a day, a petrochemical plant and a liquefied natural gas receiving terminal at Al Zour on the Arabian Gulf coast. 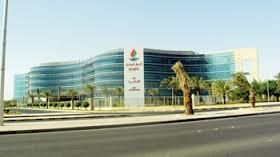 Financing options include selling shares to the public in the petrochemical unit and joint ventures, Al Jemaz said.